The good old tailgate – what better way to show pride in your school, Alma matter, or simply your favorite team? There’s no doubt that even if you place a group of people with nothing in common, one thing they do share is their passion for football. Whether it’s because they’re into sports, love their school, or even just like dressing up for tailgates. No matter the case, Toyota of Orlando is here with an easy guide on what you should pack to have an epic tailgate, just in time for the UCF and SC game! 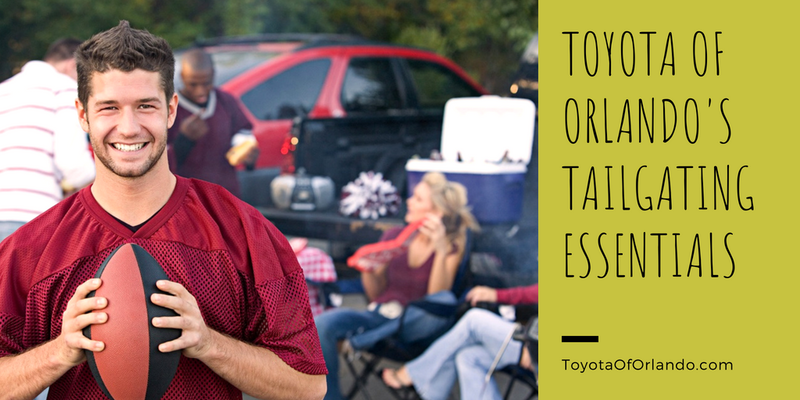 Which new Toyota should you take to the tailgate this season? First things first, not every car is fit for tailgates. Toyota of Orlando offers a variety of SUVs and trucks that are best suited for celebrating the upcoming football season. A few Orlando Toyota vehicles that we recommend for ideal tailgates include large vehicles like the Toyota Tundra, Highlander, 4Runner, and Tacoma. With all that extra space, you’ll have no problem celebrating with all your friends! Portable Couch: Portable couches are easy to travel with. They are the size of a suitcase when folded; once it gets opened, it turns into a pretty comfortable love seat. Toyota of Orlando’s trucks like the Tundra and Tacoma will make a great haven on the bed of the truck for the portable couch. Bluetooth Speakers: Evidently, speakers are a must. Music will always be the mood setter in situations, therefore in this situation, it’s important to remember the reason behind this Orlando football celebration! Portable Grill: This is pretty self-explanatory. No grill equals no food and without food you can’t have a proper tailgate. Cooler: On a hot day with so many people around you, a cold refreshing drink does not sound like a bad idea. It is what keeps you pumped and hydrated throughout the day so that you could cheer on your team! Cooler for Hot Foods: Yes, you read correctly. This is something you can finally use a DIY skill for. Use an empty cooler and cover the inside with foil and hot bricks. Be warned, this trick isn’t meant to cook your food. It’s meant to keep your tailgate delights warm and enjoyable to eat. Jumper Cables: While this seems more like an emergency item rather than a tailgate necessity, jumper cables will prove useful in the event that your Orlando Toyota battery loses too much charge. During the tailgating celebration, you’ll most likely forget that your car is running or you may be using accessories that require power from your car. Either way, have a set of jumper cables on hand in the event that you need a jump. 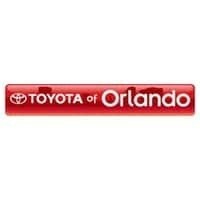 Shop all of our Orlando Toyotas in time for the big game! Football season and tailgates are times for comradery and celebrating your favorite team. Making sure you have all the necessary supplies to make it one to remember. If you’re unsure of what to bring to your tailgate or need help finding the right accessories, come see us at Toyota of Orlando! Our auto parts department has a great selection of accessories to make your tailgate one to remember! Visit us at 3575 Vineland Road seven days a week! Oh yeah… and GO KNIGHTS!